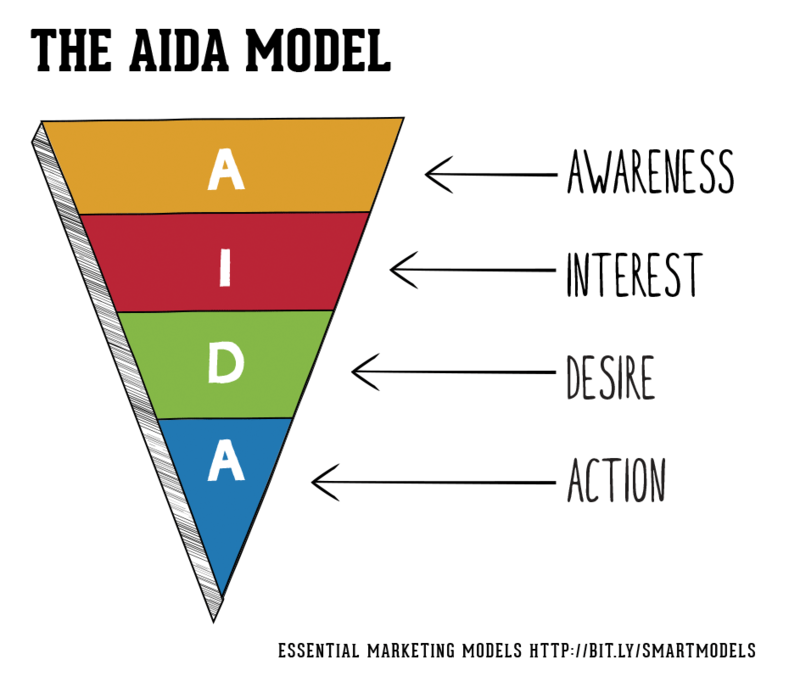 Remember AIDA from your marketing course? Getting “Attention” and triggering “Interest" are the playground of inbound marketing and email campaigns. The “Decision” influence and “Action” motivation is largely the task of your sales force. But who they speak to and whether leads even make it to that stage, is in your hands. The key? Thinking the nurturing process through. Converting your website visitors to newsletter subscribers is tough - and unfortunately just half of the game. It is key to close the loop between the initial interest when someone signs up for your Mailchimp newsletter, and getting them to take out their wallet and buy your product or services. Email marketing with tools like Mailchimp remains one of the most powerful and cost efficient communication methods for digital marketing managers. Yet many email marketers still forget to think the entire process through. The consequence is poor alignment between marketing and sales - and low ROI. It is important to keep the ultimate purpose in mind though: it's sales. Aim at supporting your sales team move their leads from the initial interest to closing the deal with your customers. This is when email marketing starts to make a real difference. Make sure to automate every step of the process you can. This relates to data entry, segmentation, nurturing, lead tracking and lead scoring. Motivate your website visitors to subscribe to your mailing list by offering "goodies". Goodies can be check lists related to your lead’s problems, interesting articles, whitepapers, or just the convenience to request a call back. 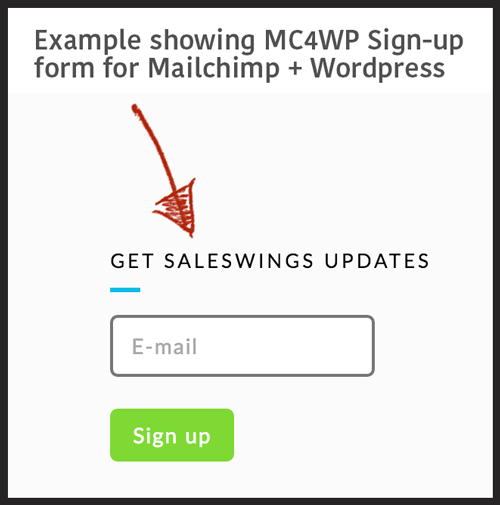 At SalesWings we use the Mailchimp for WordPress plugin in many creative ways to handle regular sign-ups, document downloads, contact forms and more. Step 2: Segment your leads for better targeted newsletters - but keep it simple! Depending on what form your subscribers will fill in, you may want to sign them up for different Mailchimp lists. The reason why you’d want to do this is simple: the more targeted your newsletters, the higher the conversion, Mailchimp Research says after analyzing billions of emails. Mailchimp for WordPress makes this really easy. 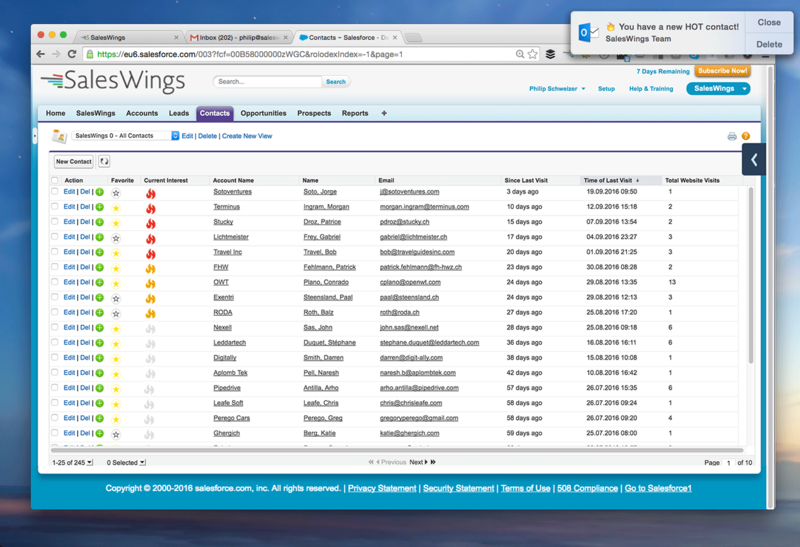 This will allow you to send them tailored sequences of follow-up emails. Master list: add all subscribers to a master mailing list for announcements going out to your entire contact database. Content download list: For any forms that leads will fill in to download content, make a dedicated list. You can use this list for different purposes, with a simple welcome email drip proposing “content you may be also interested in". Customers list: For specific product updates, alerts or releases - this is a must have. If you have the resources and a large number of contacts, you can always segment further. But keep in mind that having too many segments can make keeping the overview difficult and creates inefficiencies. A weak point of Mailchimp is that it doesn’t bridge the process between marketing and sales that well. It’s not Salesforce Pardot after all. When a lead fills in a MC4WP form, just like Marketo or Pardot, SalesWings will track their website activity and score their level of engagement with its “Lead Scoring for Mailchimp” feature. 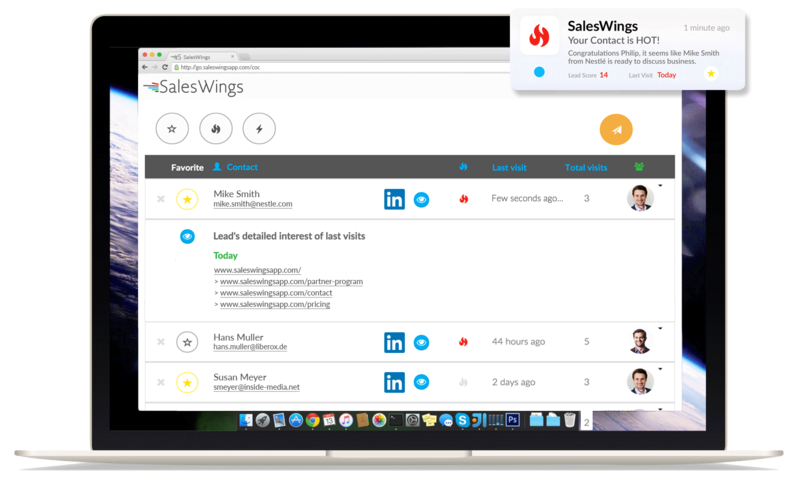 SalesWings will then automatically notify the sales team about the lead's interest, future website visits and their area of interest. Once a sales prospect subscribes, don't stop. Using Mailchimp's automation feature, send a short series of emails to new leads that filled in your WordPress sign-up form. This will create value for them, while it allows you to further qualify your leads and identify the most engaged leads using lead scoring. Day 1: Send them an immediate follow-up email with a link to page where you host all know-how content. Posting all content on a single page will make sure you can keep the same list and link inside this email (efficiency!). Day 3: Send your inbound marketing leads a follow-up email asking for feedback about your content. Propose them as well a list of other recommended blog posts to boost nurturing. Day 1: A confirmation of reception with details about your products or services. Reporting newsletter campaigns to your superior and handing over business opportunities to the sales team, remains one of the most painful tasks in Mailchimp. This is surprising, since an essential responsibility of B2B email marketers should be to help qualify prospects and hand-over the sales ready leads to the sales reps. The click and open reports of Mailchimp are just not enough. 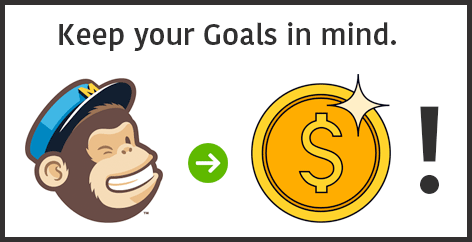 Mailchimp does allow you to create your own lead scoring system (the stars you see). But it’s tedious work and hardly actionable. Reports then still need to be exported manually, formatted, and then distributed to internal stakeholders. Adding sales website tracking and a separate lead scoring add-on for Mailchimp newsletter campaigns, tackles campaign reporting and lead qualification. Integrated tools such as our lead scoring add-on for Mailchimp then push lead scoring and website activity data to Salesforce and other CRMs. In our case, we automatically add prospects who click in a newsletter to a reporting dashboard and prioritizes all leads based on their level of interest. This is a great way to easily report the top 5 to 15% most sales-ready leads to your sales team after each campaign - closing the campaign loop effectively. Email marketing should be a decisive weapon when it comes to promoting your company’s know-how and offering, keeping leads engaged and customers loyal. Thinking the work-flow through and automating the processes, will massively increase your efficiency and the effectiveness of your email campaigns. Tools such as Mailchimp for WordPress or SalesWings are great tools to bridge the process and ensure an automated workflow. If you were to remember only one thing from this article, it would be this: whenever you invest your valuable time in Mailchimp email marketing actions, keep the ultimate purpose in mind: sales.